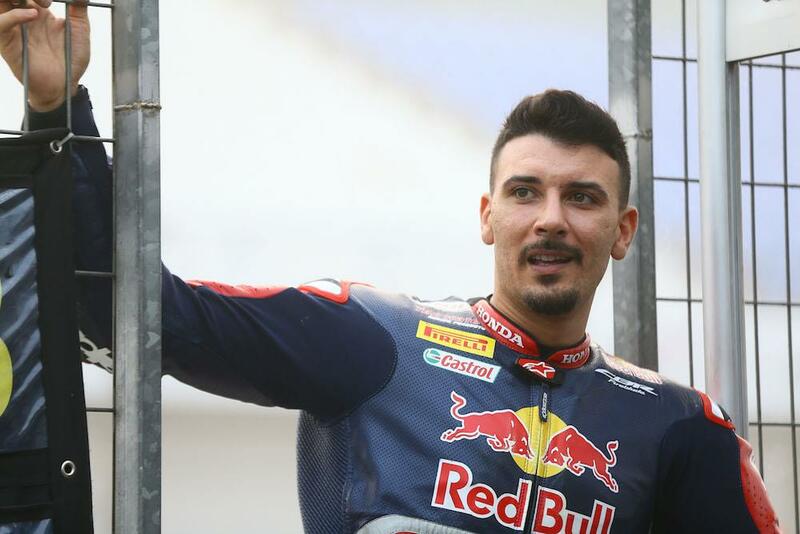 Davide Giugliano will make a return to the World Superbike paddock as he stands in for the injured Eugene Laverty at Milwaukee Aprilia. The Italian, who was a full-time regular in the WorldSBK paddock until a difficult move to British Superbikes didn’t pan out last season, will return to the series for the first time since Qatar last year when he replaces the Irishman in Aragon next weekend. The ex-factory Ducati star has 14 WorldSBK podiums to his name, but only managed two points scoring finishes in the eight races he rode for the Red Bull Honda World Superbike team towards the end of last season. Laverty is expected to miss the next three rounds after he sustained a broken pelvis in an incident that saw him run over by another rider during the recent Thai round. "We are very pleased to welcome Davide to the team. At the same time, we look forward to Eugene’s return as soon as he is fit and ready,” said team boss Shaun Muir, who admitted he had a tough time in searching for a replacement rider. “This is a real opportunity for Davide to show his potential and we are sure he will fit in well. The deal will see him join the team for Aragon, Assen and most likely Imola.